We regularly attend events in Crawley and the surrounding area so that people know we are here and ready to provide support if needed. Friendship, laughter and sharing experiences can help to brighten a day. 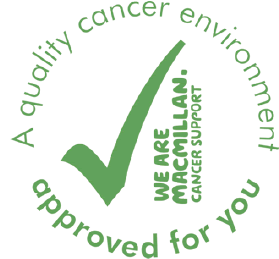 Welcome to the Olive Tree Cancer Support Centre - the centre for everyone affected by cancer. We are here to help. Receiving a diagnosis of cancer is a difficult, stressful and emotional time for both the patient and those around them. We provide a range of services to support you from the point of diagnosis, through your treatment and beyond; in fact for as long as you need us. You are not on your own. Come to the Olive Tree where you can meet and speak with people who understand and can help. The cornerstones of our provision are in the areas of information, emotional support and complementary therapy. However, we have an ever expanding offer of additional services including a coaching programme, singing workshops and social events. The centre is open for information and enquiries from 9.30 am – 5.30 pm Monday to Thursday and 9.30am – 4.30pm on Friday. We look forward to welcoming you to our centre. The Olive Tree provides support to people living in Crawley and the surrounding area. Plans are also underway to open a second centre in Horsham. We are an independent charity that relies upon donations and fundraising to allow us to carry out our vital work. We simply could not do what we do without your continuing support. Every donation is appreciated, however small or large. All donations help towards maintaining and improving our services and our ability to support cancer patients and their families, friends and carers. You can visit the centre for information and enquiries from 9:30 am - 5:30 pm Monday to Thursday and 9:30 am - 4:30 pm on Friday. Follow the link for address details and a map. Alternatively you can email or call us. All the details you need are on the Contact Us page. Latest news from the Olive Tree including updates on our groups and activities. How we can help you and your family. How you can help us at the Olive Tree. Your stories involving the Olive Tree.